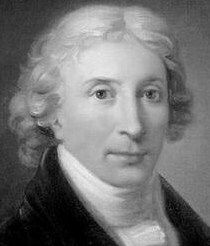 Anton Eberl (1765-1807) was born in Vienna and lived there. 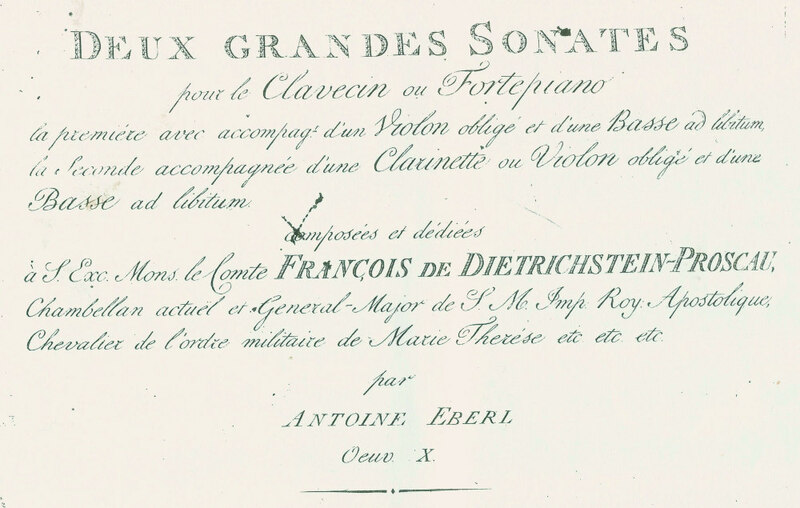 He may have been a pupil of Mozart who befriended and encouraged him. 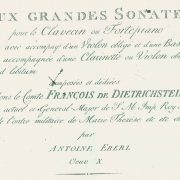 Already in 1788 some of Eberl’s piano pieces began to appear under Mozart’s name, the first of a great many such misattributions. Eberl produced a series of instrumental works to highest critical acclaim and was generally held to be the equal of Beethoven. When Eberl died at the age of 41, the Allgemeine musikalische Zeitung remarked that the early death of an artist had seldom been so generally regretted as his was. 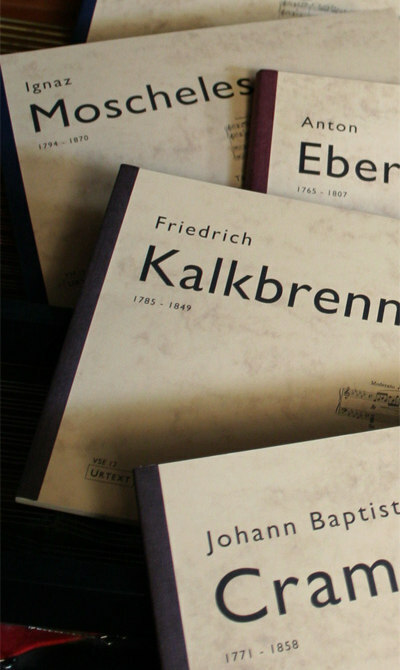 Van Sambeek Edities published his Grande Sonate opus 10 nr.2 for Piano, Clarinet and Cello. Surely an important and charming contribition for the small clarinet repertoire of that time.